Registered voters in New York wouldn’t have to wait until Election Day to cast their ballot in person if Gov. Andrew Cuomo has his way. A measure in Cuomo’s $145 billion budget proposal would make New York the 38th state in the country to allow early voting, in which a limited number of polling places are opened ahead of elections, freeing up voters from having to cast their ballot on a specific day. Supporters of early voting say states should be doing anything they can to make voting more convenient, particularly in New York, where just 29 percent of voters cast their ballot in 2014, a gubernatorial election year. “Given New York’s miserable voter-participation rates, anything that can make it easier for people to go to the ballot box are things that should be considered,” said Blair Horner, legislative director of the New York Public Interest Research Group. But counties — which administer elections in New York — have their concerns, particularly when it comes to the added cost of opening polling places earlier than usual. According to Cuomo’s office, the governor’s early-voting plan wouldn’t have a financial impact on counties for the state’s coming fiscal year, which runs from April through March. After that, the cost estimate is uncertain; Acquario said the state has estimated the cost at $3 million a year, though he believes it would be higher. Cuomo’s proposal would require counties to open at least one polling place for the 12 days prior to an election. If passed this year, it would apply to all elections beginning in May 2017. Counties would have to open one early polling site for every 50,000 residents, up to a maximum of seven. Counties with fewer than 50,000 residents would be required to open a single site, which could be at their existing Board of Elections offices. That means smaller counties, like Chemung, would need one, while mid-to-larger sized counties would vary greatly. Monroe and Westchester counties, for example, would each need seven early polling places. Broome would need four, while Tompkins would need two and Dutchess five. Doug Colety, the Republican election commissioner and GOP chairman in Westchester County, said most election commissioners “have an issue” with Cuomo’s proposal. One problem, Colety said, is technological — counties generally use paper poll books to look up registered voters. Some smaller counties had less concern. Cindy Emmer, the Democratic election commissioner in Chemung County, said Cuomo’s proposal is doable since it requires Chemung to open only one early polling place. Cuomo’s plan would need to be approved by the state Legislature — either as part of the state’s budget, or separately as a bill. Assembly Elections Committee chair Michael Cusick, D-Staten Island, said he’s pleased Cuomo included the plan in his budget because it will spark a “substantive conversation on the issue.” The Democrat-led Assembly has passed its own early-voting bills in recent years. His Senate counterpart sounded a more cautious tone. In some ways, New York’s concern about early voting seems almost quaint given the radical shifts in election procedures in other states … but it is undeniable that even a seemingly-modest approach like this one would represent a huge change for Empire State election officials, who have very real concern about whether they have the technology or the budget to make it work. Still, the fact that New York is discussing the idea, and perhaps even willing to see how it works elsewhere, is a big step forward. 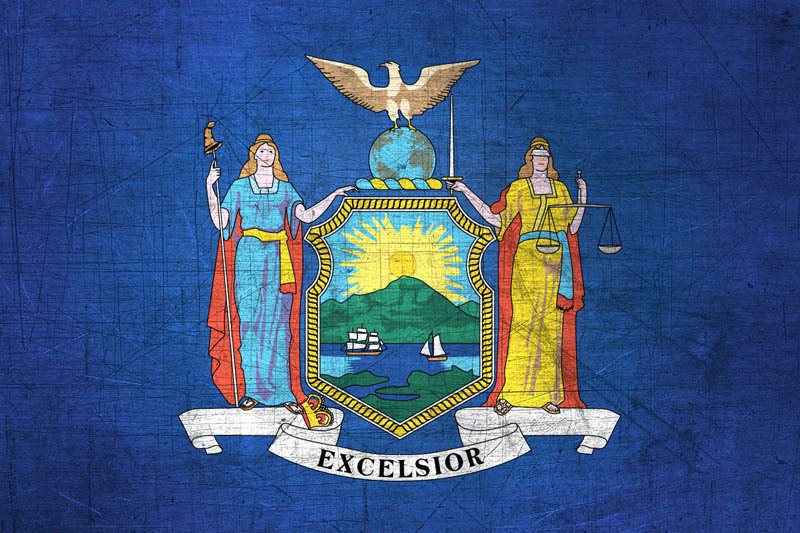 New York doesn’t always move quickly but it can move on election reforms – it adopted OVR way back in 2012 while other states are still discussing it – meaning that this story is one worth watching for the foreseeable future. Be the first to comment on "Empire State Early Voting?"